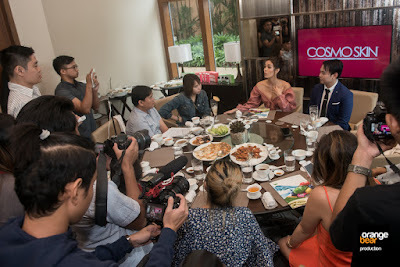 Miss World 2013 Megan Young proudly joins Bargn Farmaceutici (Philippines) Company (BFC Laboratories) as the newest endorser of Cosmo Skin, the trusted premium whitening supplement in the Philippines. Megan Young first made the Philippines proud, shining the light on Filipina beauty and brains on the world stage in one of the most celebrated pageants. Though she has since passed on her crown, she still reigns supreme as she lends her power and influence to advocating well being and a healthy lifestyle. "Of all the different causes that I support, I am very passionate about encouraging people adopt a healthier lifestyle, because health is wealth!" says the Cosmo Skin L-Gluthathione and Cosmo Skin Marine Collagen Powder Drink ambassador. "Since I'm always on the road, I take Cosmo Skin. It not only gives me a flawless complexion, it helps fight the signs of skin aging and stress. Cosmo Skin gives me that extra boost of confidence to face the world." 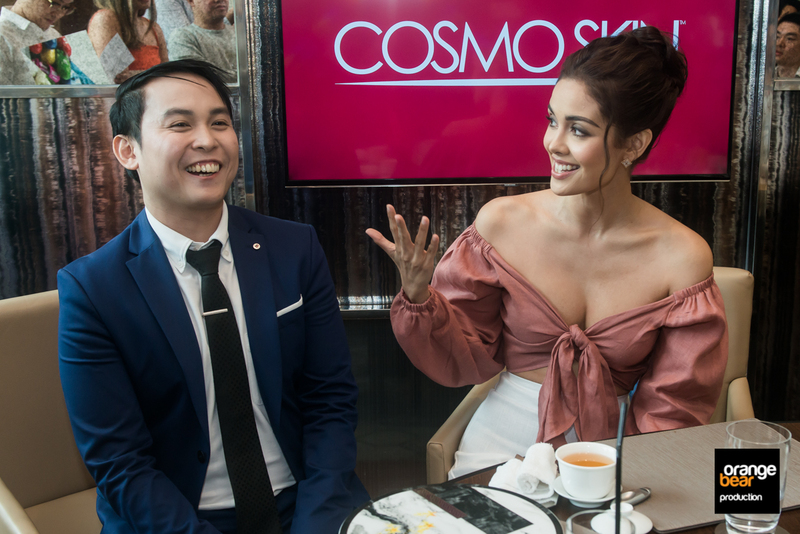 Cosmo Skin L-Gluthathione, one of the most effective in the market, has become the preferred antioxidant and whitening food supplement of men and women thanks to its unique blend of Alpha Lipoic Acid and Ascorbic Acid, which are two of the potent ingredients. As an anti oxidant, Cosmo Skin L-Gluthathione protects the body from free radicals that causes cell damage. It also helps detoxify by removing toxins from the liver and strenghens the immune system, keeping one fit and healthy. One of the more noticeable effects of Cosmo-Skin L-Gluthathione is also a brighter and more radiant complexion. The Cosmo Skin Marine Collagen Powder Drink, on the other hand, helps all women to maintain their youthful beauty. Containing 20,000 milligram of pure, 100% powdered collagen - the only product of its kinds in the market - the Cosmo Skin Marine Collagen helps reverse the signs of skin aging like dryness, wrinkles, sagging and uneven skin. "I love how Cosmo Skin helps me achieve my goals to become a healthier and more beautiful me", says Megan. CosmoSkin L-Gluthathione and Cosmo Skin Marine Collagen Powder Drink are available in all Watsons, SM Beauty Section, Mercury Drug and other leading drugstores nationwide. Established in 2006 by founders, Nino Bautita and John Redentor Gatus, BFC Laboratories has become the premier integrated nutraceuticals, beauty and vitamin manufacturere in the Philippines, with presence in 10 major markets worldwide in regions such as Asia-Pacific, the Middle East, Europe, and the United States. Recently, BFC Laboratories opened its state of the art manufacturing plant in Dasmarinas Technopark, which has been FDA approved and has been certified to have met the stringent current good manufacturing standards.